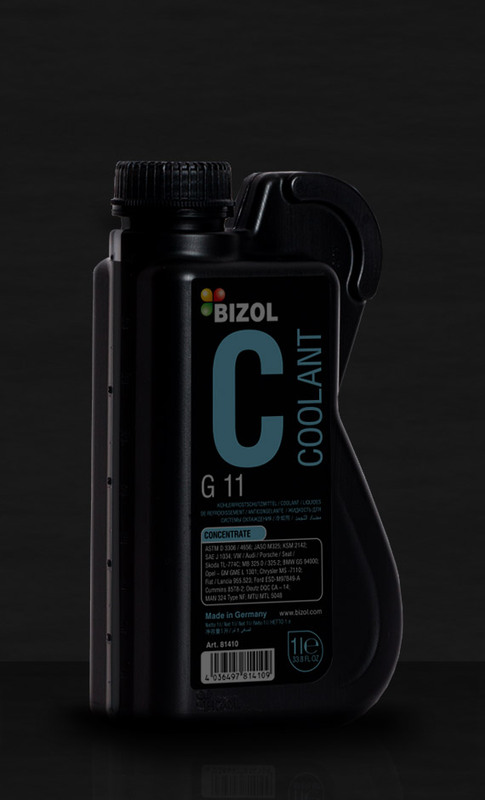 BIZOL Coolant G11 is a long-life antifreeze based on ethylene glycol for year-round use in petrol and diesel engines, that require a nitrite free antifreeze. Reliably protects from corrosion and overheating. Neutral to seals and tubes. Concentrate. To be mixed with water. 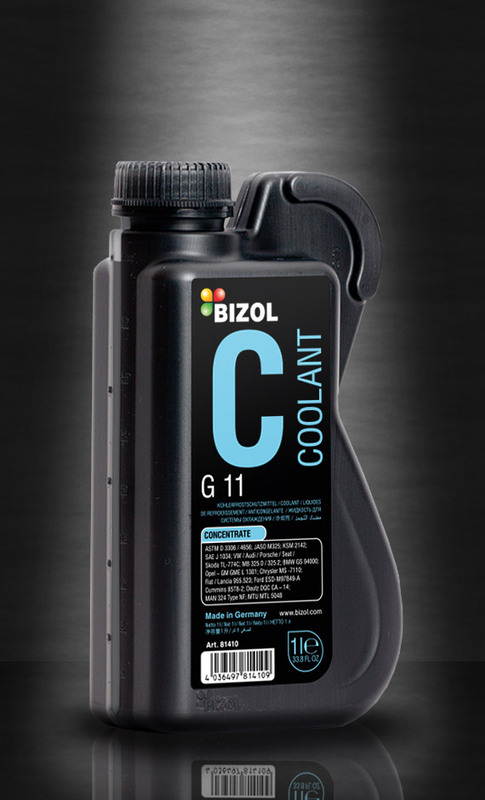 BIZOL Coolant G11 (-40) is a long-life antifreeze based on ethylene glycol for year-round use in petrol and diesel engines that require nitrite-free antifreeze. Reliably protects from corrosion and overheating. Neutral to seals and tubes. The product is ready to use. BIZOL Coolant G12+ is a modern long-life antifreeze used for protection of the car cooling system from freezing and overheating. It contains special additives for the protection from corrosion and foaming. Recommended for all vehicles that require a coolant free from silicate, nitrite, amine and phosphate. Suitable for alu-engines. It does not harmfully affect rubber, sealing materials and other plastic materials. Can be mixed with similar coolants on the basis of monoethylene glycol, including silicate-containing coolant (G11). Concentrate. To be mixed with water. 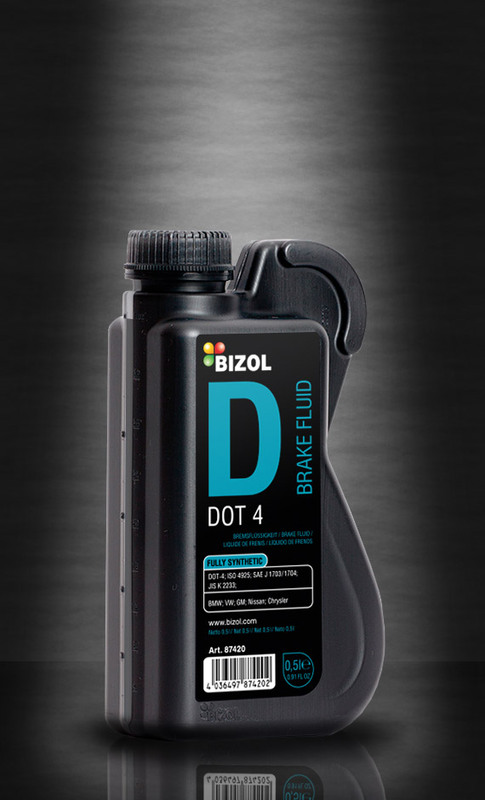 BIZOL Coolant Asia is a long-life coolant for protection of car cooling systems. It is produced on the basis of ethylene glycol and contains the phosphate components which are characteristic for requirements of Asian car manufacturers. This product is free of nitrite, amine, silicate and borate. This formulation has extraordinary long lasting change intervals till 10 years. Concentrate. To be mixed with water. 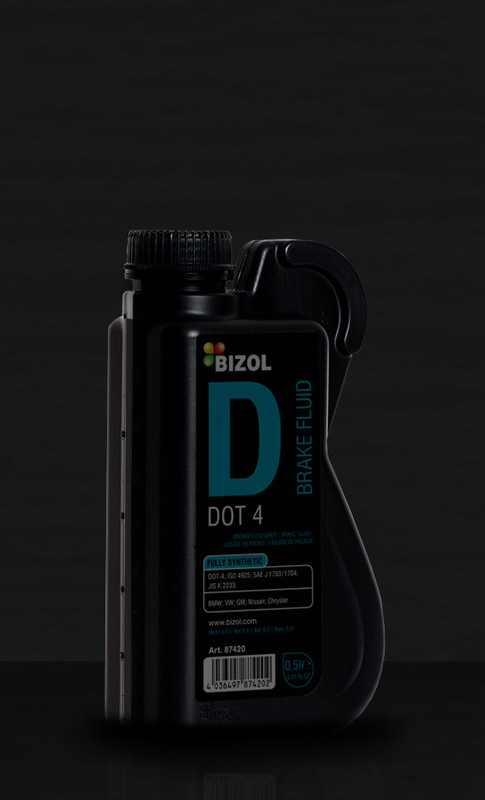 BIZOL Brake Fluid DOT 4 is a fully synthetic high-performance brake fluid for the use in all hydraulic brake systems of passenger cars and commercial vehicles. Because of the optimum combination of the synthetic base with a modern additive package, it reliably protects from corrosion as well as oxidation. Extends the life cycle of the components of brake systems. Demonstrates outstanding wet and dry boiling points, which guarantee secure braking. Also suitable for the application in brake systems with antilock (ABS). Does not damage metal, plastic and rubber.